Rodney Creech turned his accidental lawn care business into a long-term, sustainable career. Rodney Creech always thought he would be a farmer. After all, his family farm goes back four generations. So it was a surprise when after college he found himself knee deep in the green industry. With a “love and passion for corn and soy beans,” Creech went to Morehead State University in Morehead, Ky., to pursue an agronomy degree. One of Creech’s professors introduced him to turf science courses, during which he developed a strong interest in turf management. After receiving a bachelor’s degree in agronomy and turf science in 1999, Creech returned home and took a job in agronomy sales at a local crop store and spent his evenings providing lawn care for his clients. Over time, Creech noticed how many people ultimately have bad experiences with their lawn care providers, and he began to realize that his accidental career could turn into something real. He launched Lawn Plus in 2005, serving about 40 properties, with a mission to deliver high-quality service at affordable prices. He left the crop store to go full-time in lawn care in 2007, and his first employee (his dad) joined the company that year. By fall 2008 he was hiring part-time help. 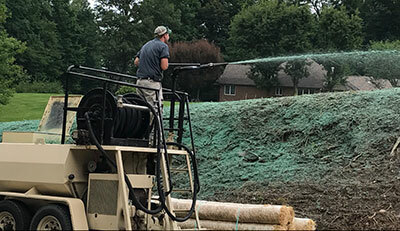 Today the $2.2-million company has 32 employees and offers 85 percent lawn health services and 15 percent pest control, tree and shrub care and athletic field renovations and installations to a 75 percent residential, 25 percent commercial clientele. “Most of the lawns I cared for were only receiving three to four applications, and I kept hearing from local people that their lawn care company was doing six to eight applications, calling them all the time and showing up when not needed,” Creech says. “It came to me that many of these people were being taken advantage of and spending too much money on too many applications from large corporate companies. Creech is often asked why Lawn Plus doesn’t offer landscape maintenance services, but he knew from the start that he never wanted to mow lawns. He likes the knowledge and expertise that comes with providing specialized lawn care, and he knows that “a 16-year-old with a trailer and a mower” will never be his competition. Over the years, Creech has continued to think strategically about the services he offers. For years he had considered offering tree and shrub care, but knew he just didn’t understand the market well enough to dive in with confidence. Last year, Creech jumped on the opportunity to hire a tree care expert with 30 years of experience and a large existing client base. He says the new division was worth the wait. The company’s athletic field renovation and installation division is another relatively new addition. 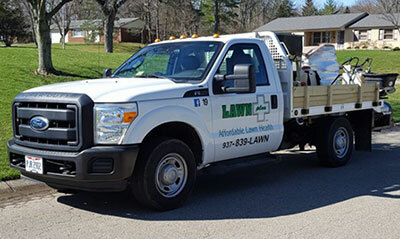 While Lawn Plus had serviced athletic field turf for the past 10 years, three years ago the company invested in specialized equipment to allow it to do any job pertaining to improving the safety or aesthetics of athletic fields. Creech says there is very little competition in this market and believes he has a leg up on the two or three local companies that provide athletic field renovation as their “bread and butter.” Lawn Plus focuses on providing savings to schools and municipalities that maintain their fields under strict budgets, and the company recently hired a full-time salesperson, a former baseball coach, to grow the department. To Creech, focusing more seriously on the athletic field market not only made sense strategically, but was also an important step toward diversification. As more and more state and local governments pass laws on pesticide and fertilizer use, Creech says restrictions are always in the back of his mind. He now knows Lawn Plus will have a solid business unit that will survive should chemical restrictions impact the status quo. All of Creech’s growth and success did not come without challenges. After about six years of running multiple businesses, he began to feel the burnout that small business owners often face. Too many long days of acting as “accounts payable and receivable, collections, technician, assessments – everything,” and Creech knew he needed help if the business was going to survive. In 2011 he hired a family friend, Bob Brower, as general manager. Since then, Creech says Brower’s personality, honesty and strong work ethic have taken the business to a whole new level. This reallocation of the company’s day-to-day responsibilities has allowed Creech the opportunity to step away from the business and focus on other endeavors. Following in the footsteps of his grandfather, Creech has become active in local and regional politics. He served for several years as a township trustee and is currently a county commissioner in Preble County, Ohio. His goal is to serve in the Ohio state legislature by 2022. Because of his “great team that is moving in the same direction,” Creech now spends less than two hours a week involved with Lawn Plus. But he is still passionate about the business and its path forward. He describes the company as a “well-oiled machine” and cites the changing millennial workforce—whose members are not as keen as past generations on working overtime and on weekends—as its biggest challenge. It’s a challenge, like all the others, the company is ready to face head-on. “Our biggest challenge is the younger workforce—they are great, hardworking guys but they are not putting in a ton of extra hours,” Creech says. “But instead of having 25 employees working 60 hours a week, we just have more people working 40 hours a week, which we are OK with.